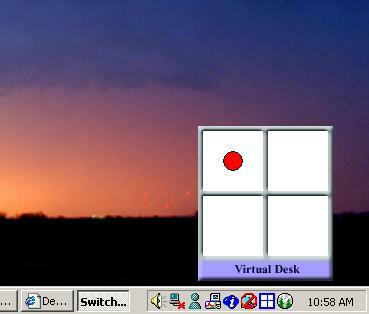 Virtual Desktop is a desktop manager to create many virtual desktops and switch among them. With Virtual Desktop, your computer screen seems being enlarged many times. You can organize your windows and put related windows into one desktop and keep your screen clear and well organized. Virtual Desktop provide you three methods to switch among desktops: switching window, shortcuts and hotkeys. Additionally, skin and many features are configurable.